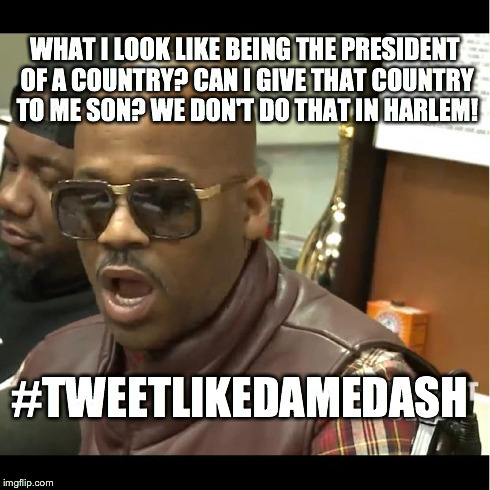 The Dame Dash Interview.... Nuts or Spitting Gems? I totally have Kelis' "Bossy" song stuck in my head and that's ok because it fits with this posts energy and this month's theme. So before getting into it, let's state the obvious: YES, he was (I felt); mad extra throughout this interview (but he's a Harlem dude, could we really expect anything less? A little NYC humor/truth/fun. Lol.). But in his crazy talk there were some good points that I picked up on because I didn't take his words (which were at times VERY extra) so literally. I pulled inspiration from what I felt he may have been trying to say. I'm going to share with you the messages that I took away from the interview despite his delivery. Below are the three messages and/or themes that I found in his interview. Remember, ignore his exact words, because they were array at many times. So we all know that entrepreneurship isn't for everybody; we get that. What I took Dame's words to say were that the black community needs to have more ownership in and of itself; that we need more ownership of our careers and professional lives too. If you love basketball, We see Asian and Jewish communities owning more homes, commercial property and businesses for each other. They support and patronize each other largely and reinvest portions of that money back into their communities. This reminds me of how Harlem was taken over and gentrified. We as a black community, recognized it was happening and did very little to take ownership of one of our neighborhoods because we didn't own many of the buildings we lived in, ate in or shopped in. We need to be bosses and step up. It's quite apparent that our government isn't going to help us much (how can they with all the debts and deficits and their poor money management skills?). We must do more for ourselves and use any government help as supplementation. I think the black community needs to individually become more independent leaders instead of waiting for another Martin Luther King Jr to come and save the day. We all have something that we shine in and could use uplift each other. You don't have to have a business to own or add something valuable to your community. You can own an arts program for adults or children that you run out of your basement every 2nd Saturday. You can own or lead a neighborhood or block association group. If you're an accountant, host some personal finance workshops for a fee or no cost. You can own a part time business if you don't want a full time business. Whatever you choose, just have something that you own and that can help your community get and stay ahead. Dame talked of leaving a legacy behind to your future generations. My maternal grandparents left behind a legacy of education and community involvement. Both were the first in their family history to attend college and join a historically black, Greek letter organization. My grandmother was a Latin and English teacher and my grandfather was a politician; he even ran for a seat in Congress and was involved in Pittsburgh and Pennsylvania politics. My paternal grandparents left behind a legacy of entrepreneurship and community involvement. My grandfather had his own sanitation business in Pittsburgh. He and my grandmother also owned a cafe/bar for a while and my grandmother worked the kitchen cooking delicious dishes. They also were very prominent and active in their church and I can remember my Sundays spent in church there. The congregation and board highly respected them. 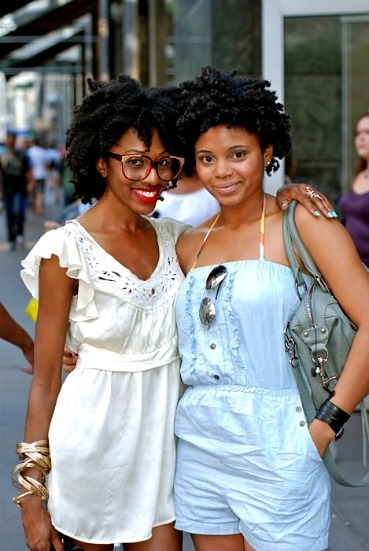 I actually do see, in my generation, black people working together more and collaborating on projects together. There is strength in numbers. We can get so much more done and in a greater magnitude when we form relationships and/or partnerships with each others' endeavors. I have all kinds of networks in various fields of my professional Rolodex that I can call on or refer to others for products and services and they do the same for me. Rather the relationship is strictly professional (like the person isn't your friend but they are good people and do good work) or personal and professional, these relationships help to create opportunities that may not have existed before and build empires. As a makeup artist, I've referred photographers and hairstylists on projects I'm involved in or not involved in and they've referred me on projects that they were or weren't involved in. Both of us have received visibility to things we wouldn't have had awareness of beforehand. Plus, when you have great relationships, you create great work which leads to more opportunities and advancement. Let's all rise together. In part of the interview, Dame talked of when starting Def Jam Records that he and Jay-Z put down their own money to start the company. This is not to say abolish taking out loans but I took that to say, get (more) creative. Think of ways to fund your own business starting out. When you raise money or focus on creating your own capital for something, you have a freedom that borrowers don't have until their debts are zeroed. I think we often overestimate how much it takes to get started. You may not need a fancy website right away. Maybe all you need is your imagination and a Facebook page to get started. This blog got started good when I was laid off and living on unemployment. I didn't have any money to invest, just (an abundance of) time and passion. We can also fund our own projects by raising funds within our community. Raising money isn't a loan and it gets people to gain awareness in your vision and be a part in investing in it. I'm more inclined to support a business or endeavor that I donated money to to help erect. Loans come at a hefty price tag and depending on how things go, can be hard to pay back or settle. Why not challenge ourselves more to fund our own projects and ask for our community's help? I'm cleaning up my finances but still go out of my way to donate to things that serve the black community like MoCADA museum. I auto-donate $10 a month to them. And when I'm able to donate more, I will and I will donate to other causes as well. We grow by constantly planting seeds and watering them regularly. The seeds are the ideas, projects and businesses and the water are the resources and funding. We can do more than we could ever imagine. I mean Korean beauty supply store owners are sending their children to law school with our dollars. Imagine what we could do with that money if it went to our very own community?! Let's start thinking bigger. We have so much power and are sleeping on it so hard, others hope that we never wake up. Wake up sisters! In the midst of Dame's zaniness, there were some good intentions and messages in there. Let's get bossy and own something so we can pass it down to generations to come and instill family pride and community pride. Rather it's your own business or your own contributions to the betterment of our communities, just own SOMETHING. Let's work together and collaborate on projects more with each other to create larger impact and let's invest in each other by funding our own projects and endeavors more. We have so much power, bosses, let's DO this and sit at the table I talked of in my editor's note for this month. Below is part 1 of the interview and if you want to listen to the rest, you can listen to the second part at the Breakfast Club's website HERE. What are your thoughts on the interview? Did you take anything away from it? Or is Dame just cray cray? I haven't heard the interview yet, but I really enjoyed your post this morning. We really need to OWN our power (especially how much WE influence pop culture) and really harness that energy into ourselves and our communities. Great post.